I attended Catholic schools and then the University of Sydney, Australia. My first degree was in History and Modern Languages, and I became a schoolteacher. In an unguarded moment I agreed to teach Religious Studies, which can be taken as a University entrance subject in Australia. But I had no real qualifications and soon found I was out of my depth – attending church regularly did not prepare me for teaching Religion to high school students. So I went back to University and gained advanced qualifications in this area. I then taught Religious Education and wrote textbooks for many years. Why ‘Women in the Bible’? Along the way I was surprised to find there was hardly anything on the subject of women in the Bible. The books that teachers used were either scholarly and out of the reach of a normal student, or cloyingly sentimental and often inaccurate as well. 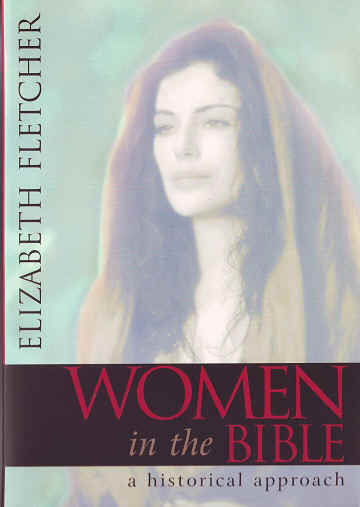 I approached Harper Collins with a book proposal and they published ‘Women in the Bible’ in 1997. After my husband died, I moved out of teaching into full-time writing. I wrote and edited a variety of Religion textbooks, and developed the Religious Education Curriculum now used extensively throughout Australia. But my chief interest was always Biblical Studies. My website was able to reach far more people than my book, so I decided to devote myself to writing full-time for the Web. I am interviewed on national radio or talk-back programs whenever there is a ruckus about something to do with the Bible and women, as there was when ‘The Da Vinci Code’ was published. Recently I became dissatisfied with Web coverage of the story of Jesus. Too many questions were left unanswered – and people wanted to know the answers. So I began another site on the Life of Jesus, and am kept very busy with this. Let me know if you have suggestions for either of these websites. I am always interested in feedback, or changes that will make the site more useful to others.